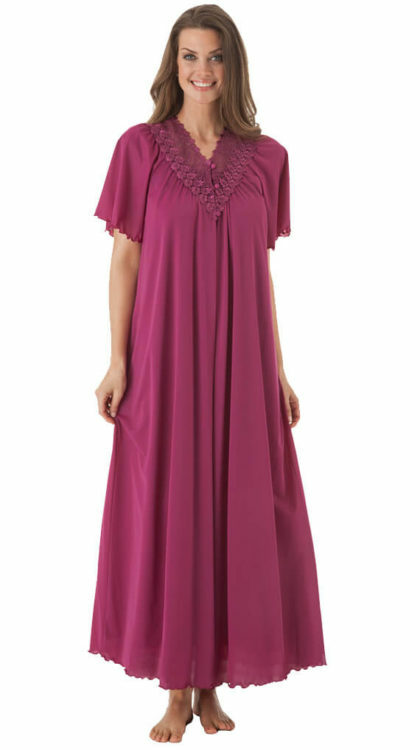 When Shadowline designs robes for women, our goal is to always keep comfort and style in mind. At the end of the day, we want our customers to feel beautiful while slipping into a luxurious-feeling robe. We believe that your favorite outfit of the day should be the one you wear in the comfort of your own home. 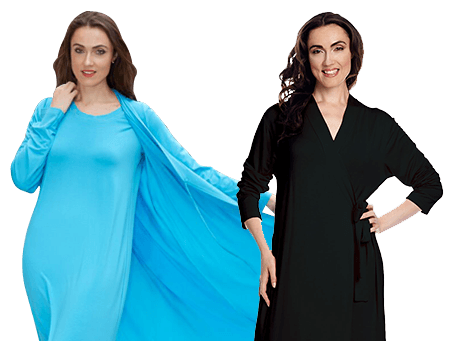 For decades we have been striving to provide a wide range of sleepwear and womens robes to choose from, regardless of your age, size or style preferences. As you will notice from our selection of night robes and sleepwear, we offer a little bit of everything. No matter what your style is, we have many different robe collections for you to browse. For warmer days, check out our Beloved Collection short summer robe for a breezy coverup piece. These lightweight robes are great to pair with any pajama! When you want to cozy-up with full coverage sleepwear, we offer long sleeve, floor length robes that are great to wear over a pajama set. Whether you’re looking to show your flirty or modest side, we have many unique styles to tend to your taste. For something sexier, try a red lace robe from our Twilight collection. For a hint of floral, the Petals Collections long pink robe might be for you! We have a wide variety that appeals to everyone. At Shadowline, we only use the best materials for our bath robes. Each item is made with care to ensure our customers are only receiving the best robes. Everyone deserves relaxation which is why our comfortable bathrobes and sleepwear make for a phenomenal gift. What better way to show someone you care than by giving them the gift of comfort? Our stylish ladies robes are a step up from your old house robe, providing you with full coverage. Our kimono robe wraps easily so you can throw it on morning, noon, or night — try our long kimono robe from the Before Bed Collection! You can still feel beautiful no matter what time of the day it is! We design misses and plus size robes so that they can feel comfortable and beautiful while relaxing at home, like the black satin robe from our Silhouette Collection will make you feel. We believe your robe should be nothing less than the best fit for your body and the best fabrics for your comfort. We know you’ll adore our sleepwear every time you put it on and feel like your robe was made for you!